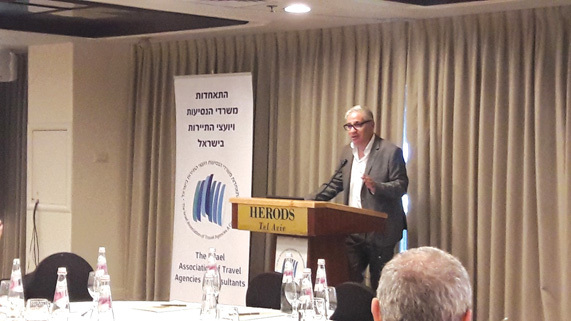 The first conference of the Israel Association of Travel Agencies & Consultants for Incoming Tourism took place last month at the Herods Hotel, Tel Aviv with the support of the Ministry of Tourism, bringing together senior directors, officials and 120 tour operators. The program included greetings from the Chairman of the Association Kobi Karni, and the Director General of the Ministry of Tourism Amir Halevy, who told attendees: “There is room for everyone” as he spoke about the ministry’s Two Cities One Break campaign and its marketing efforts to promote Israel as a city break destination. Amir Hayek, President of the Israel Hotel Association, touched upon issues concerning hotel regulations and global reservation engines. Opening remarks were proceed by discussions concerning the promotion of incoming tourism and the integration of digital initiatives in the marketing of Israel to tourists. The event’s main panel focused on the role of travel agencies in bringing tourists from abroad to Israel, with special guest speakers Moshe Ya’alon, Israel’s former Minister of Defense and Chief of Staff, speaking about the safety of travel in Israel; and MK Yaakov Perry, former Minister of Science and Technology, discussing the impact of personal human service versus technology.